Photos by Kelly Fretwell (top and middle left), Nancy Shackelford (bottom left), Georgia Brander (top right), and Chanda Brietzke (bottom right). 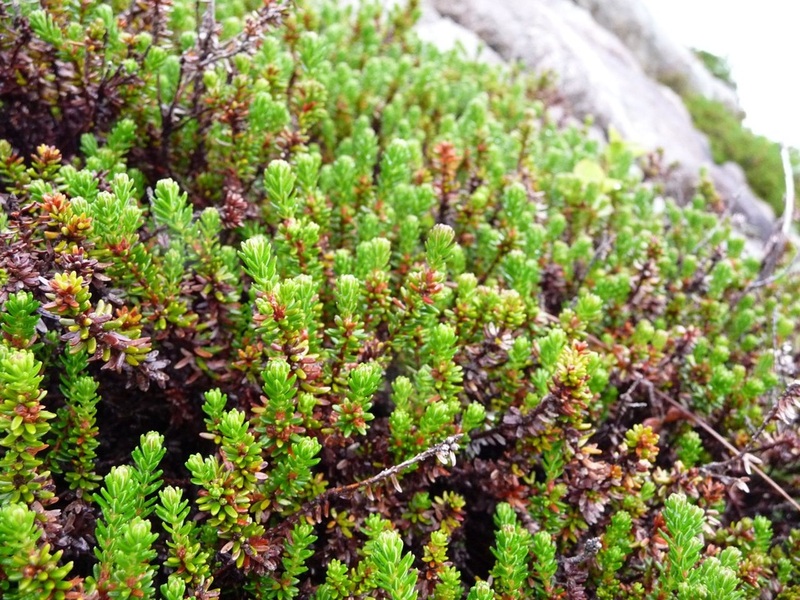 Crowberry is a low-growing shrub that can form extensive mats, reaching heights of 15-30 cm. It has short, needle-like leaves measuring 3-7 mm long. The tiny, inconspicuous purple flowers (3 mm long) form groups of 2-3 along the stem between the leaves. The small (5 mm diameter) dark berries berries are present throughout the summer, and may persist beneath snow through the winter until the following spring. Crowberry is found at all elevations in a variety of habitats, including heathlands, bogs, parkland, open forests and tundra. The plant ranges across Canada and south along the coast to California and the northeastern United States. It is also found across northern Eurasia, including Iceland. Its range extends into Arctic latitudes. Many species of mountain-heather may grow in close proximity to crowberry have very similar leaves, including Alaskan mountain-heather, yellow mountain-heather, and pink mountain-heather. These species can be hard to tell apart when not in flower. Crowberry leaves are generally shorter and smaller than the mountain-heathers, and may grow in whorls of four, which is distinctive. They may also grow in an alternate pattern, which is the same as the mountain-heathers. Alaskan mountain-heather leaves are rounded underneath, while the rest are grooved. The mountain-heathers have much larger and more conspicuous flowers than crowberry. 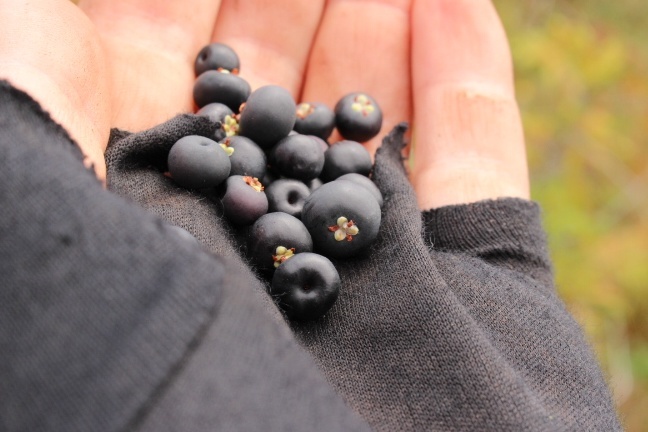 Crowberry berries are edible to humans, though enjoyment of their taste varies greatly. They have long been an important dietary component for some northern peoples in both North America and Europe (especially in the Arctic), though apparently were only valued for food by a couple BC coast First Nations groups. The juicy berries are prepared in a variety of ways. Like other berries, recommended crowberry recipes include jams, jellies, and pies. The berries can also be used to make juice, wine, and liqueur. Click here for a handful of such recipes, as well as tips on storage and preservation. In Eurasia, the range of crowberry has expanded northwards and contracted at the southern margin, which is expected under global warming. 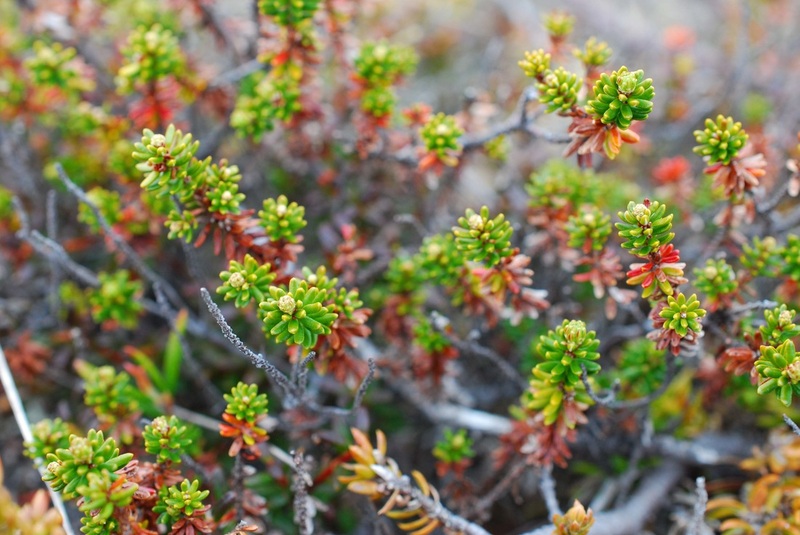 Experiments with artificial warming partially explained the northward shift, as crowberry was more productive in under warmer conditions, but they did not explain the contraction of the southern part of the range. 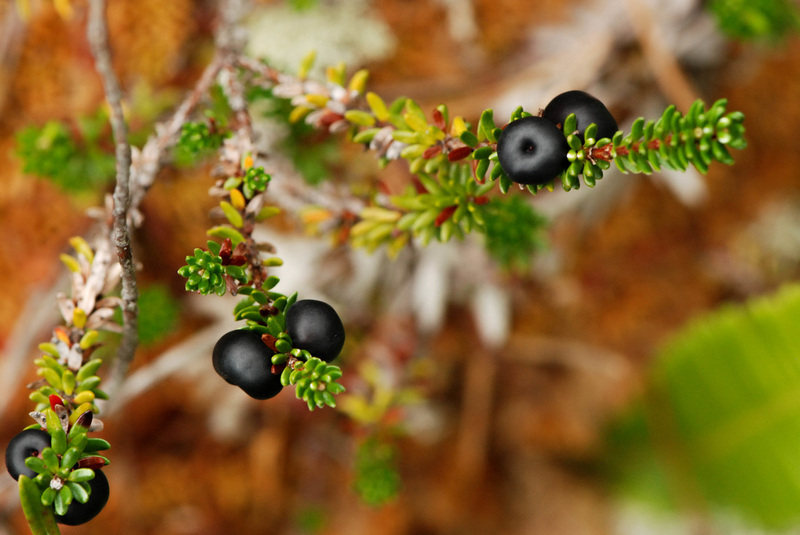 Crowberry is eaten by a wide variety of animals, from birds and caterpillars to bears and ermine. Buizer, B., Weijers S., van Bodegom, P. M., Alsos, I. G., Eideson, P. B, van Breda, J, et al. (2012). 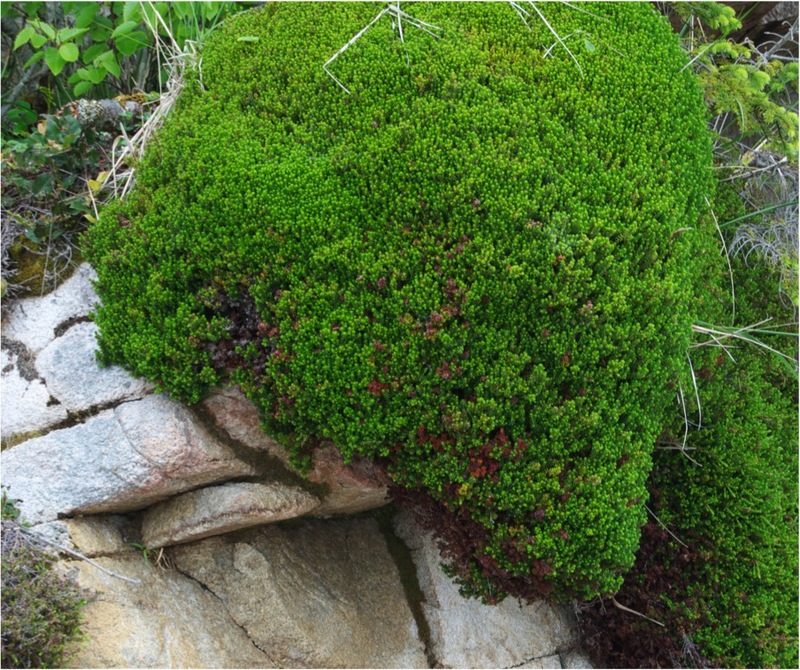 Range shifts and global warming:ecological responses of Empetrum nigrum L. to experimental warming at its northern (high Arctic) and southern (Atlantic) geographical range margin. Environmental Research Letters, 7, pp. 1-9. Empetrum nigrum L. black crowberry. USDA Plants Profile. Accessed 29/03/2013. Pojar, J. and MacKinnon, A. (2005). Plants of Coastal British Columbia, Revised. Vancouver, BC: Lone Pine Publishing. P. 64.